Attorney. Estate Planning, Living Trusts and Elder Law. Louisville, Mississippi. Exceptional client service, honesty, integrity and ethics are traditions at Hathorn Law Office. 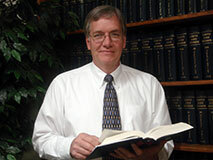 Since 1978, Hugh Hathorn has been serving the legal needs of clients throughout the state of Mississippi. Hathorn Law Office is dedicated to providing its clients with the highest quality legal services at reasonable and affordable rates. “Helping you keep what’s yours”SM is what we do best. We focus our practice on helping you and your family keep what you have worked for and earned over your lifetime by providing useful, functional and innovative legal advice and services regarding estate planning and asset protection. We help our clients avoid the delay, expense and publicity of probate through the use of a well designed Living Trust. We craft and customize your individual estate plan to accomplish your goals so that more of your hard earned assets are preserved for you and your family. We believe the best estate plan is one that recognizes your wishes and the needs of your family, protects your assets, keeps the wealth in your family and minimizes taxes and probate costs. Our goal is to provide exceptional client service from beginning to end, creating the best possible estate plan for the client at the best value. In addition to providing our clients with comprehensive estate planning services, we offer clients our expertise in the areas of Asset Protection, Elder Law, Probate and Trust Administration, Guardianship, Conservatorship and Real Property Law. We have years of experience in our fields of practice. Let us put our experience to work for you when you need the services of an attorney. 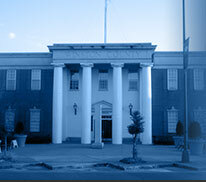 For more information on our full range of legal services, call Hathorn Law Office at 662-773-8181. Please see our Practice Areas page for more information on the legal services we offer. We accept Visa, MasterCard, Discover and American Express.